Having a little girl can also mean a pink explosion is about to happen to your home. And if you are not a fan of fuchsia this can be an overwhelming thought. But the good news is that until they are old enough to tell you their favorite color (and mean it) you get to pick what to paint their room and decorate with! Yay, for babies not being able to talk! While there is almost no way to avoid all-things-pink completely if you have a daughter, there are lots of awesome ways to avoid it as much as possible and still have a frilly girly room for your new little gal pal. 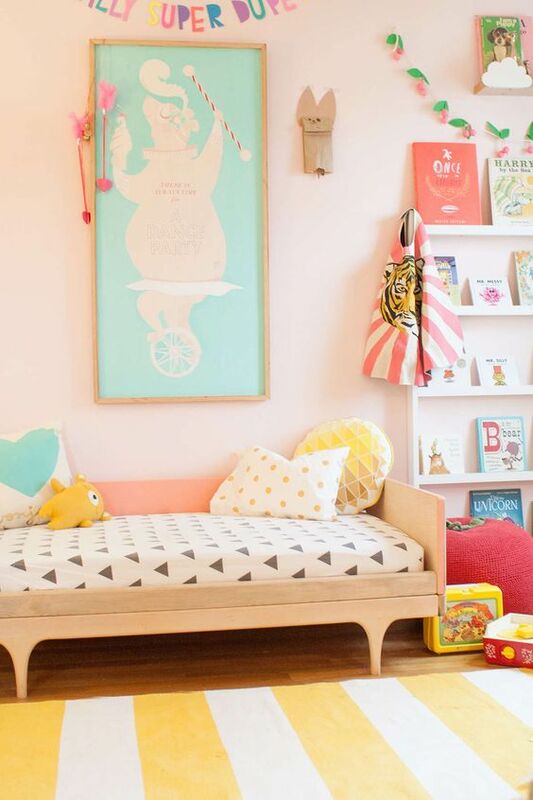 Here are TEN non-pink girls rooms to inspire you for your lil girls new digs. You know what is not pink? Peach. Ya, I know its pinks close cousin but its not pink and its sooooo sooooo pretty. Im seriously thinking of painting my own bedroom a light shade of peach. 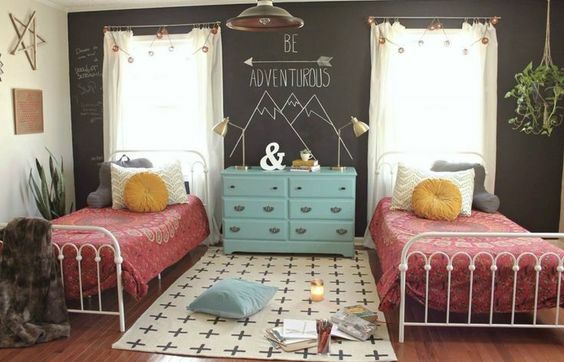 Thanks Lay Baby Lay for sharing this inspired room design. 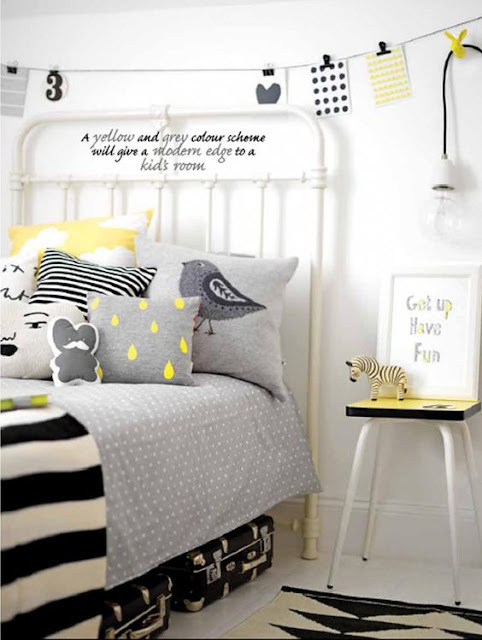 I love this ultra modern black and yellow girls room by Charlotte Love. I like that its clean yet still playful, young and whimsical. Grey, white and Peach, they were made for each other. 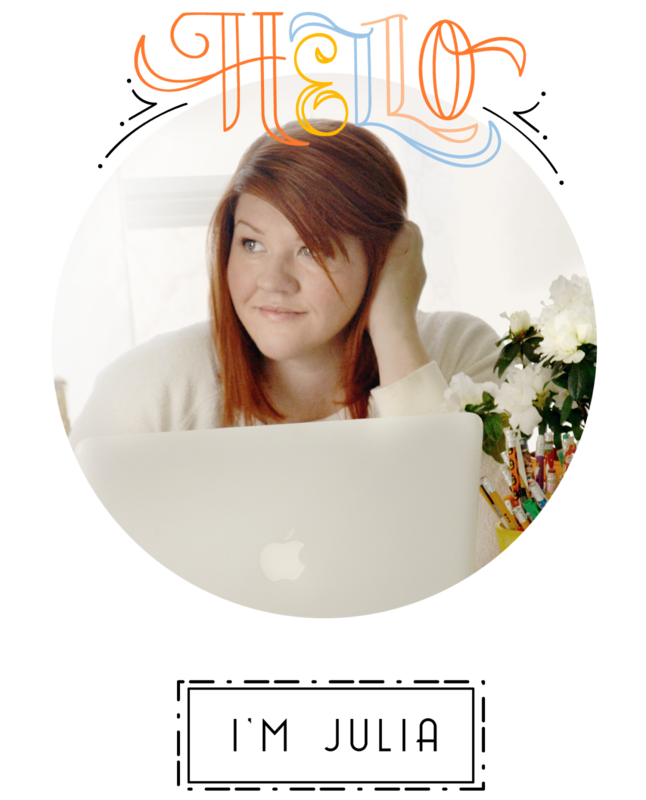 I like the mix of florals and geometric shapes that 12th And White uses. It mixes the old with the new in soft soothing tones and sophisticated patterns. 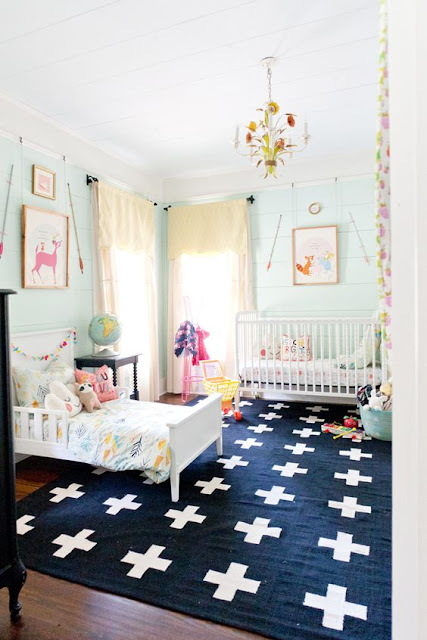 Mint and Navy are not traditionally girl colors but they sure do work in this girly girl room. 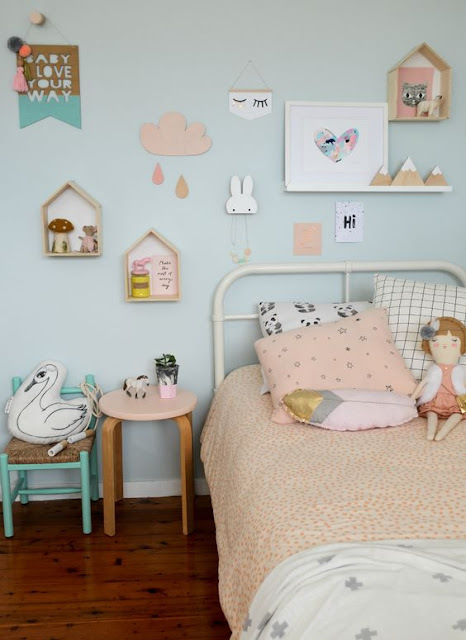 I adore the eclectic laid back style of this shared girls room by Lay Baby Lay. Isn't that cloud pillow the cutest! And the chandelier! This is a more elegant take on a girls room with its lilac and mint color palette. The rug and crystal accents take this entire nursery up a glam level. 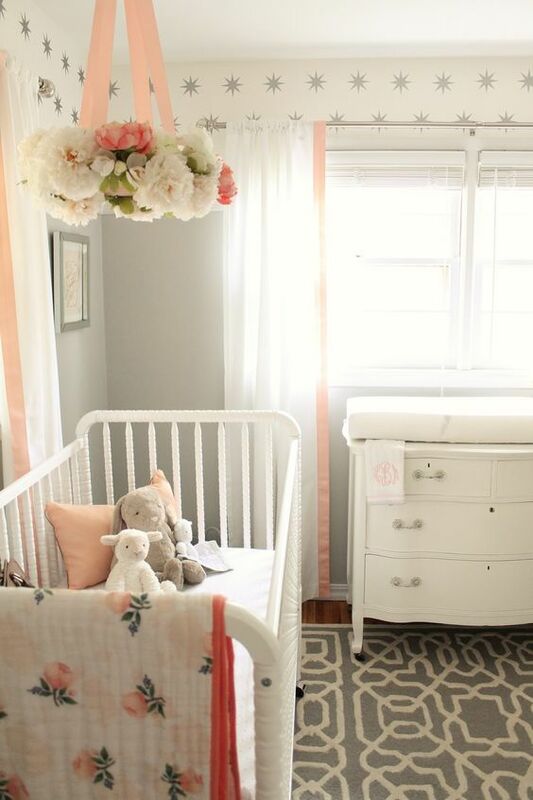 Home By Heidi sure knows what she is doing when it comes to making a baby girl feel at home in a dreamy space like this. When bright colors meet scandinavian design you get magic and originality. I love the simplicity of the lines, toys and accent pillows styled by Charlotte Love. The modern coral mountains wall detail brings the whole room together and make the entire space feel special. I really like the use of all the small items utilized on the wall and the use of different patterns for the bedding that Bek Halliday. This just has a more realistic beauty for a girls room. I don't know about you but I don't natural lean towards black accents in a girls room but Im always glad when I do because when you mix a little black and white into a space it actually brings out the colors more in the room. Its one lucky little lady who gets to call this space her room. 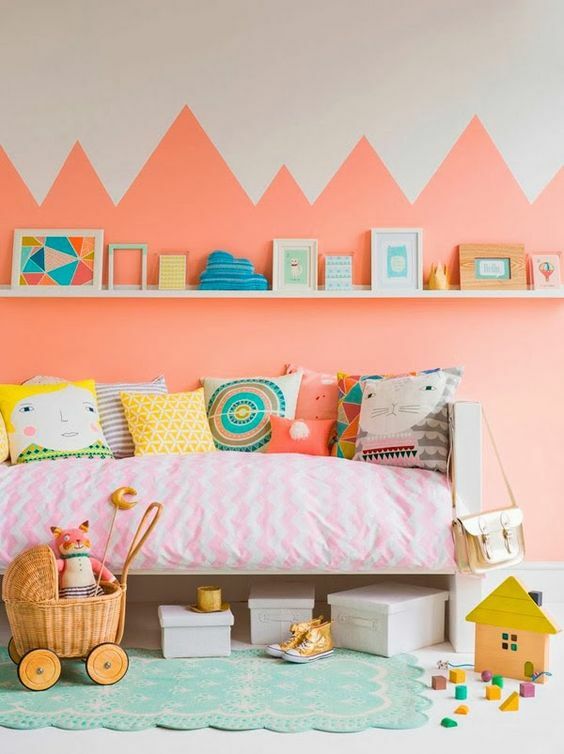 You almost forget that this room is mostly white and other neutral colors because of all the fun colorful details. I especially like the use of inexpensive paper garlands and the wicker tan and mint light fixture. 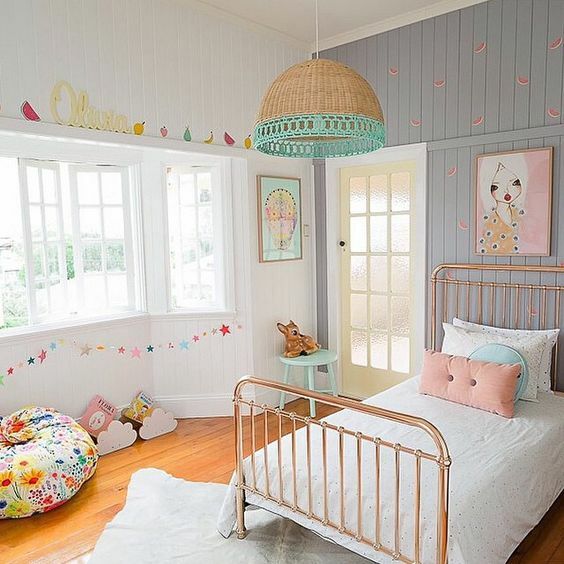 Petite Interior Co. really has a talent for styling children rooms and has created some of the most beautiful kid spaces. And of course last but not least my own little girls room. 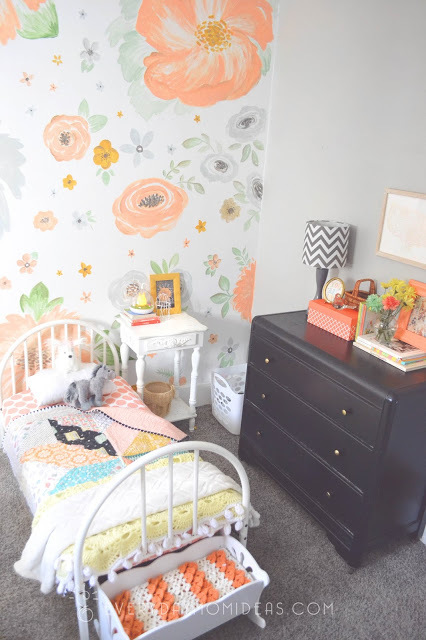 This peach floral and gold toddler girls room design came together so easily and is the perfect comfy spot for my little girl to grow up in. This handprinted floral wall didn't take a lot of time or money to complete but its an extra special touch to this room that will have a lasting impression. What are your favorite colors in a girls room? Please share this Pinterest Friendly version of this article below with your friends and family or save it for later to inspire you with your own non-pink girly girl room.